Primary voters are on average six to eight years older than those who vote in the general election. Like most states, Pennsylvania does not allow voters unaffiliated with a political party to partake in the primary elections u2014 which means that many younger people still forming their worldviews and attitudes are barred from the polls. You might say we were all a bit underwhelmed with voter turnout in the May 15 primary election. Just 22 percent of the registered voters in Erie County showed up that Tuesday, and statewide voter turnout was just 17 percent. Even the victors — who would never admit to the benefit of voter apathy — agree that there needs to be more engagement at the polls. If you watch or listen to some brand of political jibjab on radio or television, you may have bought into the narrative that low voter turnout is a byproduct of a takeover by radical fringes of the Republican and Democratic parties. After all, our rhetoric has become more staunchly partisan, our elected officials are markedly less moderate, and civility seems to be in short supply. The jibjab hardly lacks substantiation. But a new study by Georgetown University and the University of California, Los Angeles published in the British Journal of Political Science offers evidence that partisanship is hardly problematic. In fact, the findings suggest a number of factors that continue to impact Republican and Democratic voter turnout in both primary and general election cycles but ideological extremism is not one of them. The study analyzed five national surveys and four elections between 2008 and 2014 — two presidential elections and two mid-term elections. The authors found that when it came to demographics and policy positions, there was not a great deal of variance between those who voted in primary elections and voters who only participate in the big dance. Primary voters simply had higher levels of engagement with the political process, including donating to and volunteering for individual candidates. In other words, they tended to have some skin in the game. What's becoming clear nationally is that low voter turnout is not about political apathy, but perhaps it is more about the chasm between political activism and party activism. The complicated worldviews of politically active young people tend to be at odds with the robust, but rather homogeneous, platforms of the major parties. Primary voters tend to be six to eight years older than those who only vote in the general election. In that near decade, personal ideals are formed, personal finances begin to take shape, and the alienation of political independence often brings people into a party fold, whether they be Democrat or Republican, moderate or extreme. But if blame for the dearth of primary participation can be laid at the feet of those who do not yet identify with party politics — remember that only nine (not nine percent, just nine) 18-year-olds voted in Erie's 2017 Democratic primary — then there needs to be an entry point to the political process for those who are unaffiliated. Pennsylvania currently has a closed primary, which means that you have to be a registered member of a political party in order to vote in the primary election. If you are registered with the Green Party and there is a Green Party candidate, you're in luck. If you are independent, you are disenfranchised by virtue of your independence. 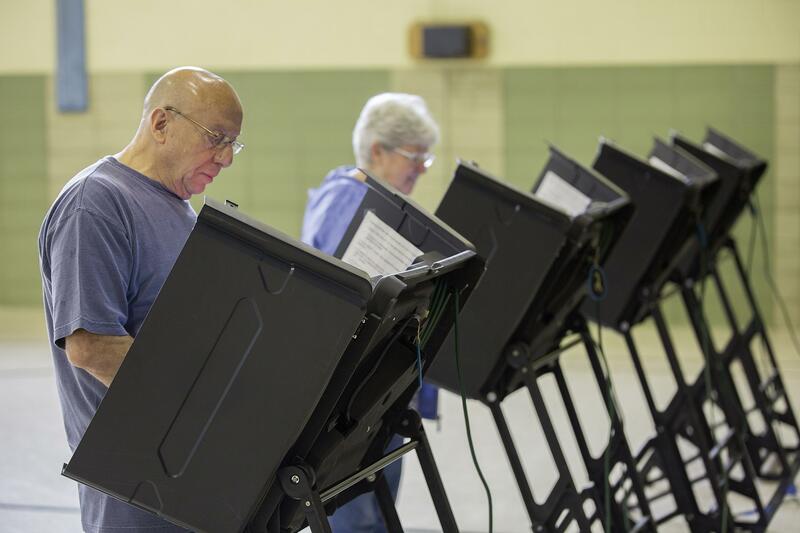 Following the abysmal turnout this May, State Senate President Pro-Tempore Joe Scarnati announced that he would introduce legislation that would open primaries in Pennsylvania to allow all registered voters to participate in primary elections. Scarnati is more interested in marginalizing the extremes of both parties, like those who knocked off Republican State Senator Randy Vulakovich and Democratic State Representatives Dom and Paul Costa. But these are anomalous events, the evidence suggests. Whatever the motivation, a change to Pennsylvania's closed primary system is necessary. The Commonwealth is one of nine states that excludes independents and unaffiliated voters from primary elections. Nevertheless, Scarnati is not likely to find wholesale support for an open system that allows anyone to vote for any candidate of any party, as you would in a general election. Party loyalists, both Republicans and Democrats, have concerns about allowing the other side to meddle in the selection of standard bearers each spring. Luckily, an open primary isn't our only option. A primary open to unaffiliated voters — currently in place in nine states including Colorado, Maine, Massachusetts, and New Hampshire — allows unaffiliated voters to vote in any party primary they choose, but it doesn't allow registered members of a party to vote in another party's race. This would resolve the concerns of party loyalists while opening the door to independents who might ultimately find a political home with a major party. This will depend upon the political will of our state legislature and the willingness of candidates to broaden their message, but it would also open the door to primary participation yet unseen in Pennsylvania. It has the potential, quite simply, to get out the vote.